THE FIRST RADIO FOR AMATEUR, COMMERCIAL, AND PUBLIC USEThe most versatile two way radio on the market, certified for use for commercial, public and amateur frequencies. The TERMN-8R includes built-in GMRS and MURS modes with 23 GMRS channels and 5 MURS Channels. The TERMN-8R is FCC Certified for Part 90 and Part 95 usage. The TERMN-8R is able to Transmit and Receive fully on Narrowband (12.5kHz). RUGGED CASE WITH DUST AND WATER PROTECTIONThe TERMN-8R has a very rugged case with a Water Protection IP53 Rating making it PERFECT for dirty environments, field and outdoor use. UPGRADEABLE FIRMWAREWith any future firmware revisions or updates, your TERMN-8R purchase is able to be updated indefinitely! Firmware upgrades are done in-house at our AnyTone Tech facility and the process is seamless! When you register your warranty with AnyTone Tech, you will be notified of any upgrades that are available for your TERMN-8R. TRUE DUAL RECEIVER CAPABILITIES WITH CROSS-BAND REPEATERThe TERMN-8R has two built-in receivers (full duplex). You can receive two signals at the same time; you can even transmit and scan (or receive) at the same time! 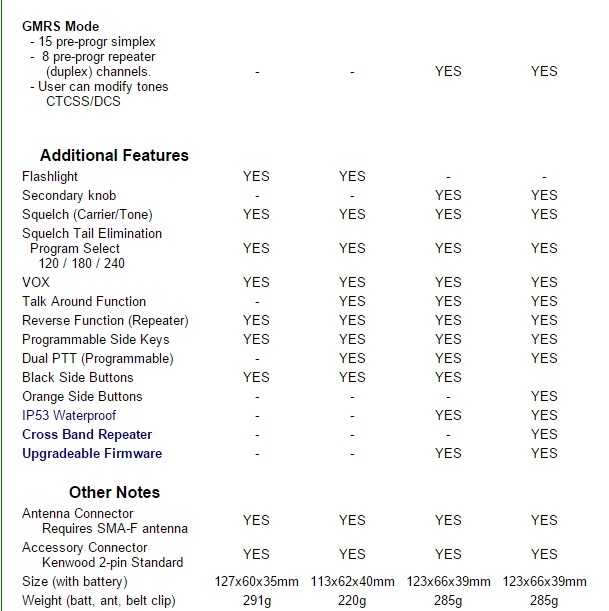 The TERMN-8R also allows you to use your radio as a cross band repeater (VHF/UHF or UHF/VHF). 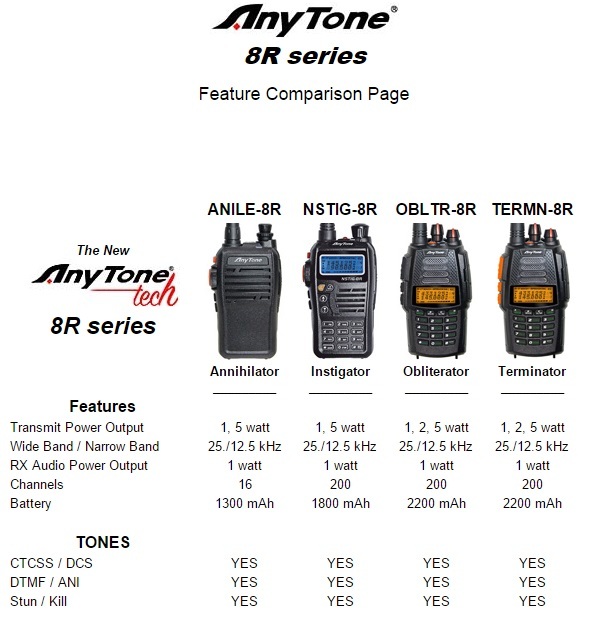 RECEIVE TRANSMISSIONS ON SIX DIFFERENT BANDSThe TERMN-8R is one of the most flexible radios available, it can receive transmissions on 6 Different Bands. 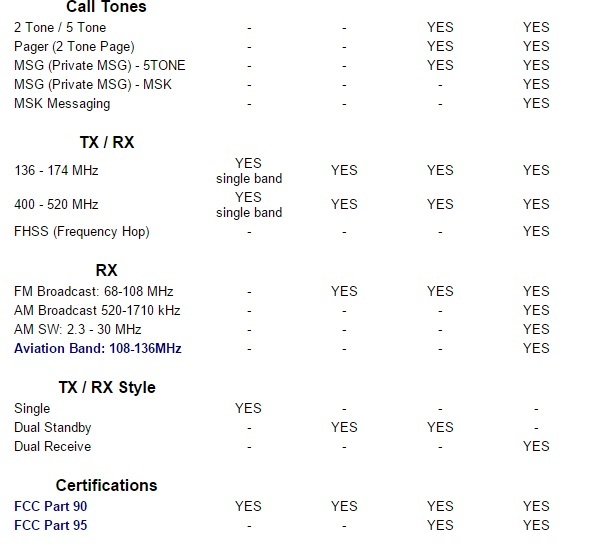 It can receive on UHF (400-520MHz), VHF (136-174MHz), Aircraft AM (108-136MHz), FM Broadcasts (64-108MHz), Short-Wave AM (2.3-30MHz), and AM Broadcasts (520-1710kHz). GROUP AND INDIVIDUAL CALLING SUPPORTEDThe TERMN-8R supports almost every available Analog Tone Method. 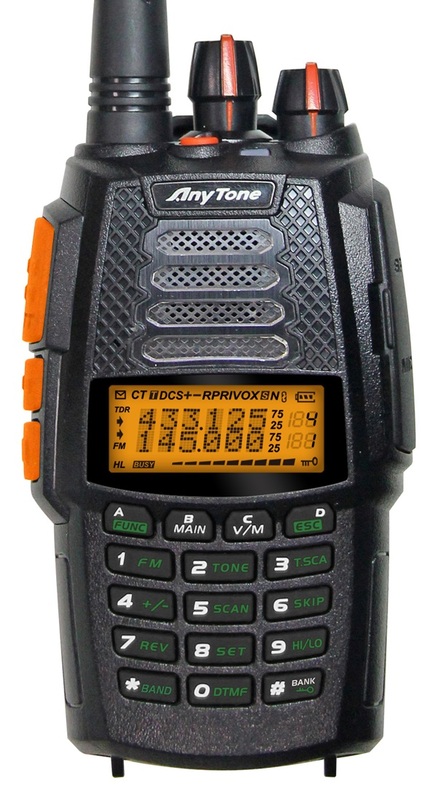 It supports CTCSS, DCS, DTMF, 2 TONE, 5 TONE, and MSK calling methods. Set-up your calling methods to call by individual or by group. You can even send text messages using MSK and 5TONE methods. Tone calling (private line) is required by most commercial applications and the TERMN-8R supports the latest standards, even allowing custom CTCSS Tones. For the utmost of private communication, the TERMN-8R supports Frequency Hopping (FHSS) between other TERMN-8Rs. The TERMN-8R can even decode (receive) commands. This allows for ANI (Caller ID), Remote Stun, Remote Kill, Pager calls, and many more features. STAY SAFE AND INFORMED WITH NOAA WEATHER ALERTSKeep yourself and your family safe by tuning in to changing weather conditions. These radios feature a Weather Radio Broadcast mode, which allows you to select a weather channel and hear the latest weather alerts from NOAA. 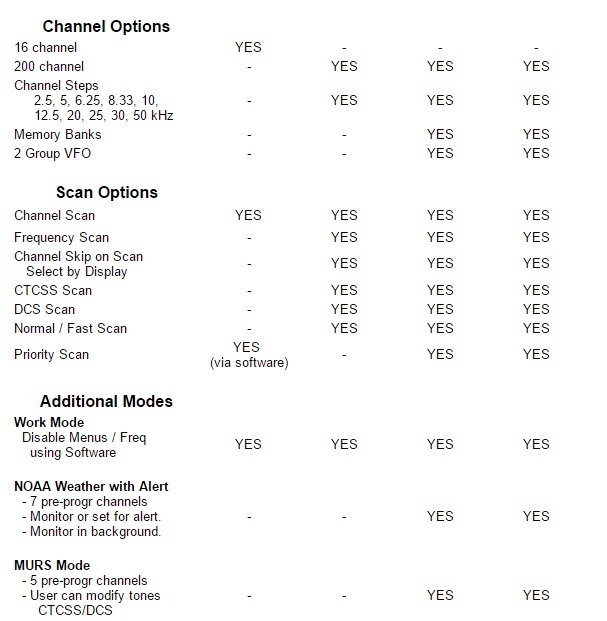 You can even monitor for NOAA alerts in the background. CUSTOMIZE YOUR OPERATION WITH MEMORY GROUPS, PROGRAMMABLE BUTTONS, AND MORE!You can program your TERMN-8R exactly how you want it. There are 200 programmable memory channels and 10 memory banks. You can add or remove channels from memory banks or from your scanning list right on the keypad. The side keys are programmable to multiple options including adding a secondary (dual) push-to-talk option. You can give channels alphanumeric names, without using a computer. The radio has 3 power levels (6 watt maximum), allowing you to choose how far you can communicate. You can set the scanning speed (fast, slow), set VFO scanning limits, and resume scanning after a power cycle. You can easily set squelch levels on a per channel basis directly from the keypad. The TERMN-8R has 2 VFO banks, and allows you to be in both VFO and channel modes at the same time. You can easily program from a PC to set-up the radio to operate exactly as needed. In commercial applications you can set up radios in work modes and customize and restrict from manual programming modes (and menus). You can even lockout the keypad completely.